Fauna.me is the web version of the Linnaeus Pro application which will soon be available for iPhone, iPad and Apple Mac (and other platforms if there’s demand for it!). Fauna.me is a place for recording sightings of animals and learning about different species, but it could really do with more photographs being added. Currently, registration and log-in are disabled whilst the design is being updated. This is definitely a work in progress, but worth bookmarking for future use. Andrew Parkinson is a professional wildlife photographer with a passion for photographing nature in the wild. His shots of animal behaviour are outstanding. His site is beautifully simple in design and well worth a good browse. I’m not posting any of his images here (copyright) – so check them out for yourself. I have one of these lenses. It’s superbly sharp, solidly built and I treasure it… so I really hope I don’t drop it and render it useless like they did here! This video shows what happened to a copy of the lens when it was dropped by someone at Digital Rev. 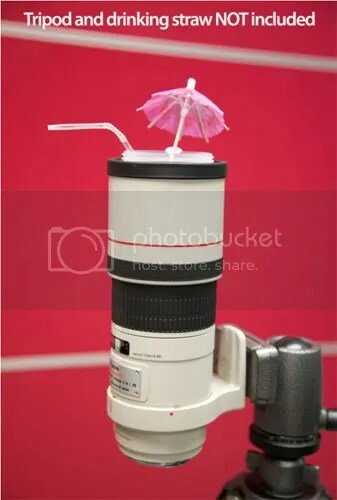 Rather than binning it, they turned into into a novelty cup holder – complete with tripod mount (nice touch!). Bid for the World’s First REAL L lens cup on eBay (until January 28th) – 100% of the proceeds will go to the Premier’s Disaster Relief Appeal of Australia to help the victims of the Australian Flood. Link to auction from video. 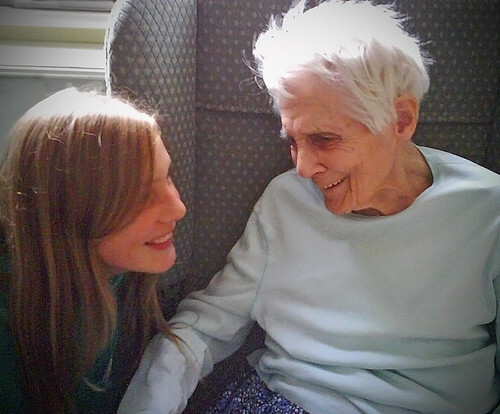 My grandmother slipped away on 15th January 2011, a couple of months short of her 96th birthday. Very sad, but I know she wanted to go. It may seem odd to write a tribute to her connected to this baking website, but some of my happiest childhood memories of her were when the two of us spent Sunday mornings baking such delights as coffee kisses and melting moments from her Be-Ro recipe book, ready to bring out when the family came round for Sunday tea. 1 Heat oven to 180C, 350F, Gas Mark 4. Grease two baking trays. 2 Cream the margarine, lard and the sugar until very light and fluffy. Beat in the egg and vanilla essence. 4 Roll walnut sized pieces of the mixture into balls and toss in rolled oats or desiccated coconut. 5 Place on baking trays, flatten slightly and place a small piece of cherry on each biscuit. Bake for 10-15 minutes. 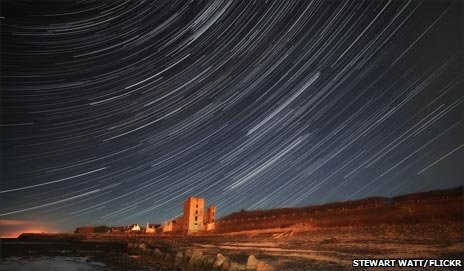 BBC site with lots of information and links about things astronomical. It’s part of the ‘Stargazing Live’ programmes (featuring the enthusiastic Brian Cox), aired 3-5 January 2011.